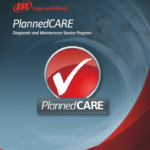 Our Service Plans are the most comprehensive in preventative maintenance (PM) programs available in the industry to ensure maximum compressor efficiency and longevity. Proper preventative maintenance on an air compressor system can save a facility lots of money over the life of the unit with lower energy consumption, less emergency downtime, and less lost production. Air compressors require a proper preventative maintenance (PM) plan to insure unit longevity, optimal efficiency and minimal unplanned / emergency down time. A proper Cisco Service Plan also assists our customers to achieve their energy savings and production goals. Cisco Service Plans are created based on each customer’s unique equipment service responsibilities, site conditions and operating hours. Please fill out the form below to download the Planned Care and Maintenance Care Packages brochure.